I had a fat quarter bundle of "Oh Clementine" fabric, from Allison Harris's collection. I really wanted to show off the sweet prints, so this pattern is perfect - "Sweet Life" from Thimble Blossoms book, "Simply Retro". I asked my sweet friend, Andrea, of Andrea Quilts, to piece it for me. She always does a beautiful job at piecing - it's such a treat to get my quilt tops back from her. ...you can read about her process here. It's a large bed size - 97" x 97".....so I added a cute center strip on the backing. I swirled the blocks, looped the background areas and feathered the sashing and borders. It's finally getting warm enough here in Montana to take my quilts outside for a little photo shoot. I had a diagonal stripe fabric of yellow and white for the backing and binding. We still have snow in the mountains - so pretty. My favorite block - I love daisies. Aw - thank you, my friend. It was time for something springy! Beautiful fabric and such a pretty quilt all finished up. 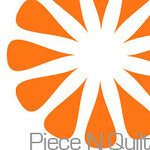 Even with Spring coming on, I just can't get enough quilts! Thank you, my friend....I can never have enough quilts, either! This is soooo pretty, Kathy! 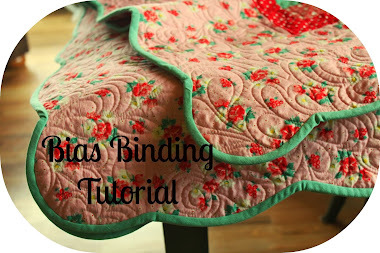 Lovely fabric, a great pattern, and your artistic quilting!! Thanks, Melinda! It all seems to work, right? I love it. Thank you for the compliments! 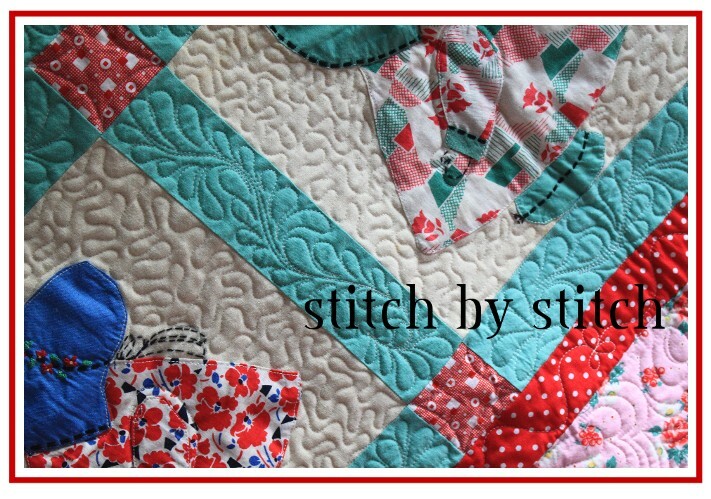 You did an amazing job quilting your quilt! I love it!